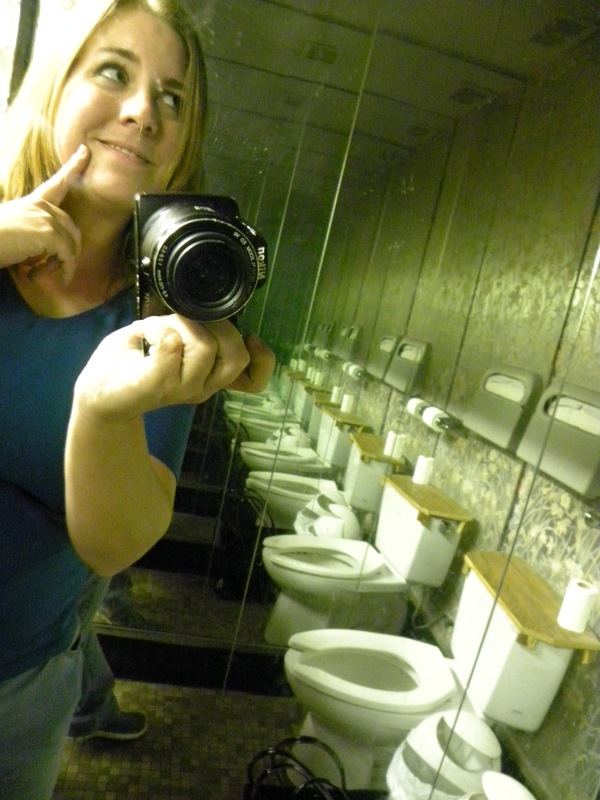 Being in this bathroom was a life altering event. You just have to experience this place to receive the benefits. 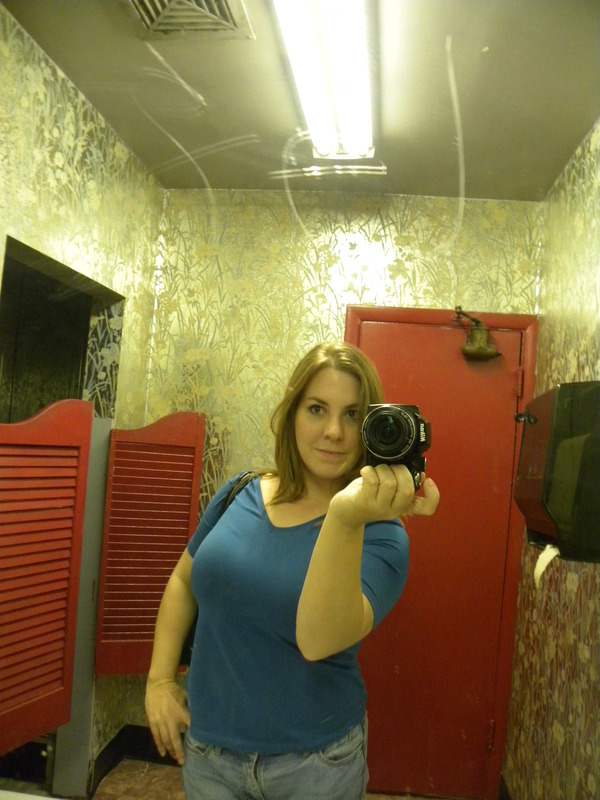 Upon entering the bathroom at the Republic Cafe, you feel pulled into another era. Hell, you feel pulled into a movie. Specifically, Goodfellas. I’m almost certain that’s where I last saw this wallpaper. 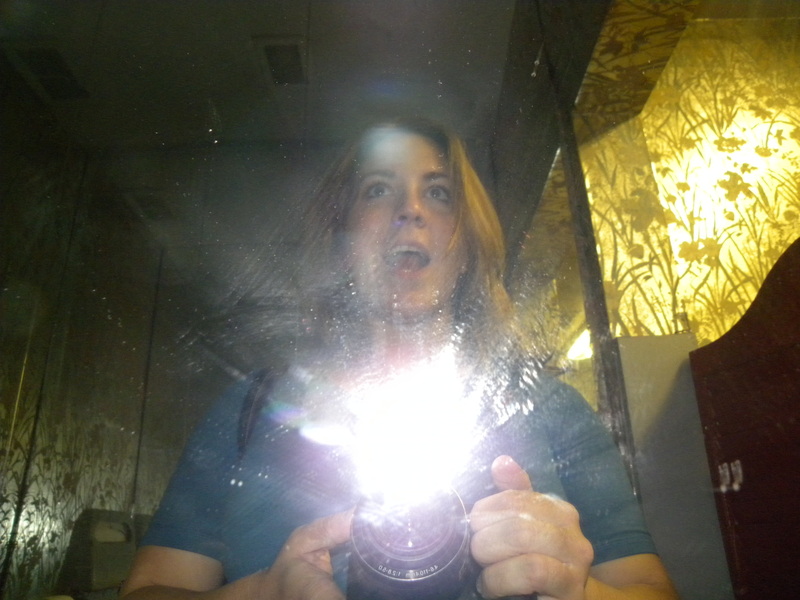 Look, going into this bathroom isn’t all fun and games. Except when you walk in on some poor chick trying to take a leak in privacy. If they are going to use shoddy shutters for the loo, why not just have a lock on the dang door??? I will end with the entrance to the bathroom. 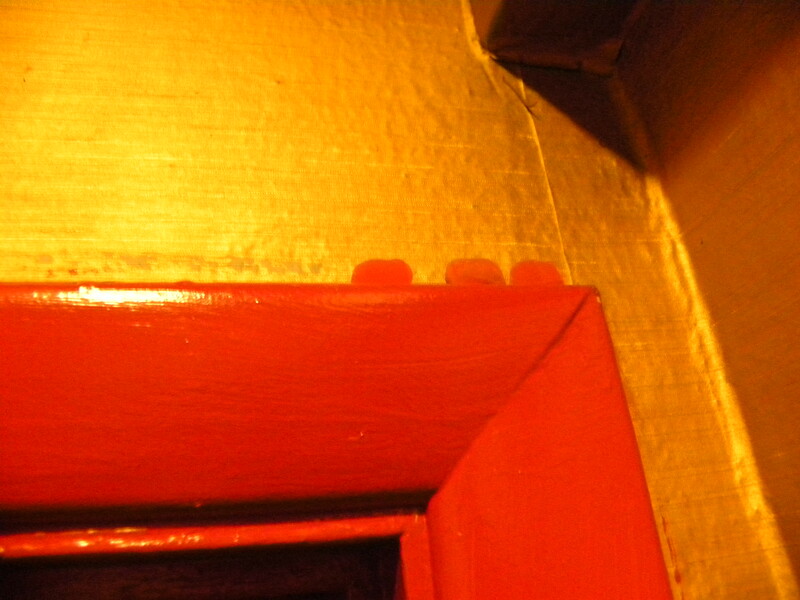 There are 3 very special cinnamon bears on the moulding above the door. This must be a sign of good luck. Or lack of attention to detail when cleaning. Either way, right?